With over a decade in real estate, Jan worked as a Senior Commercial Advisor with Remax Executive before Brokering with The Moser Group and owning Moody Holdings and Development. Now she merges her career experiences into her own brokerage firm, Moody Group Commercial Real Estate Services, accompanied and assisted by many of the same group that were there from the start; clients, associates and brokers. 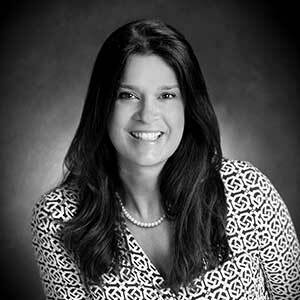 She has worked in various phases of commercial real estate for over a decade with a service area expanding beyond Charlotte covering Raleigh, Carey, NC; Charleston, Lancaster, Lexington, Columbia, Chester and York SC. Jan has successfully listed and sold retail, industrial, multi-family, special use properties such as churches and community centers, and worked land brokerage opportunities. In 2014, Jan formed Moody Holdings and Development and “quarterbacked” her first retail center in Indian Land, SC; from site selection to loan approval to tenants; coordinating leasing, General Contractor selection, property management, and financial proforma for projecting final disposition. She is currently working on new retail development in Rock Hill, SC and Waxhaw, NC and a 105 acre Industrial Park in Lancaster, SC; working with Duke Energy, SC Dept of Commerce, city and county officials in planning and zoning and Economic Development Departments. She remains a favored listing agent for REO commercial properties owned by several banks. She also represents corporate buyers and business owners relocating to the Carolinas, working with International and local Chamber of Commerce offices to maximize client benefit in relocation placement. Jan credits her “outstanding team/work partners” along with a constant process of learning to “think outside the box,” being authentic, diligent and “coming back to basics” as key success factors in her business practice and she genuinely values the industry and client relationships.